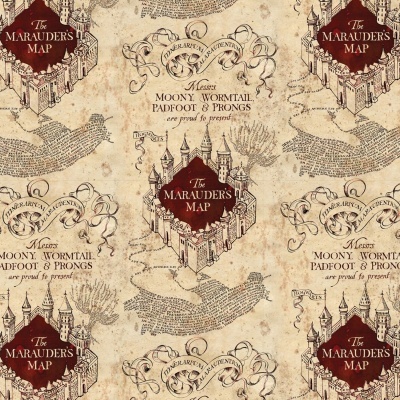 Marauders Map design on an aged cream background, 100% cotton from the Camelot Wizarding World of Harry Potter cotton collection. 110cm / 44" Width, this fabric weighs approximately 150gsm. Multiples of a size will be cut as one piece unless requested otherwise. I bought the 25cmxfull wigth piece of this fabric and it was the perfect size for lining my daughters griffindor jewellery box I made her.